If you install several Autodesk application that can open a DWG file, then you might find that AutoCAD is not the default application to open DWG. When you double-click a DWG file, other application may open it instead. It could be TrueView, Inventor or other application that you have on your computer. Autodesk has a knowledge base about this DWG file type associativity here. But it doesn’t always work. 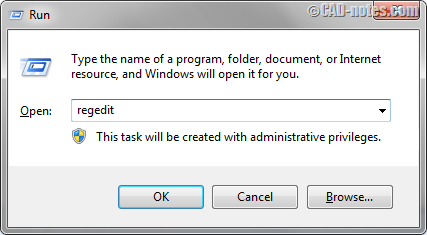 To make it works, you may need to modify the Windows Registry. 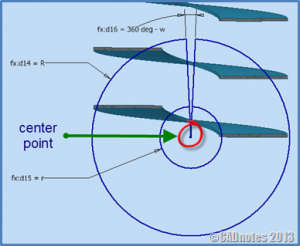 John Evans wrote an excellent troubleshooting about DWG Launcher here. 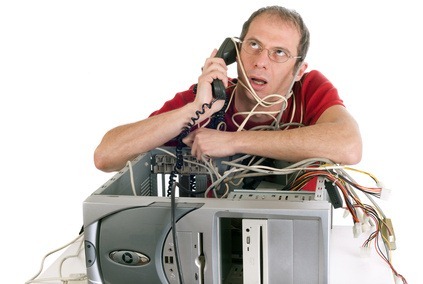 The problem is not everyone comfortable to modify Windows Registry. In this article, you can download and run the registry key for AutoCAD and AutoCAD LT 2016. You only need to download this key and double-click the file to fix this issue. Creating a registry backup is always a good thing before you modify it. My registry should not affect other software because I put only necessary key to modify DWG Launcher. But I still recommend you to backup the registry. Press Win key on your keyboard (the one with Windows logo) and type run then enter. Windows now open the run Windows. Type REGEDIT then enter. 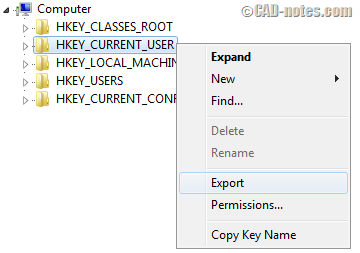 In Windows Registry editor, right click on HKEY_CURRENT_USER and choose Export from context menu. Save the registry key. If something went wrong after you do the next process, you can simply double-click the saved file to restore your registry. Now download the registry key here. I uploaded two registry keys: for AutoCAD 2016 and for AutoCAD LT 2016. Download the one that you want to use as default application. Check the file, and click download. After you downloaded the file, simply double-click it. And try to double-click a DWG file. AutoCAD 2016 should open it now! The link does not work. Please, give the new link. Can you try it again? I have updated the link. 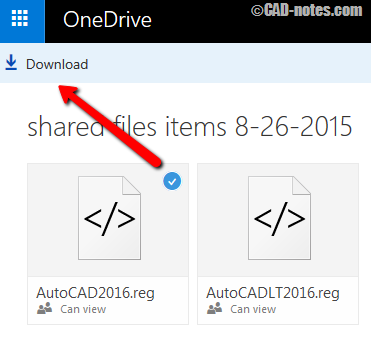 It looks like the OneDrive link has expired. Are the Windows Registry Keys for AutoCAD 2014 similar and/or as easy to locate as the Keys for AutoCAD 2016? Yes, the key is similar. But you can’t use the registry key provided here because they are different. You need to search it manually from registry editor. The article by John Evans should help you. 4. Change for .dwg, .dxf, .dwt etc. For me, the most difficult thing is figuring out which of the red & white A’s is 2016. This feature is available for years. Maybe not as straight forward as in Windows 10. But it doesn’t always work. The last thing that you can do is by tweaking Windows Registry. 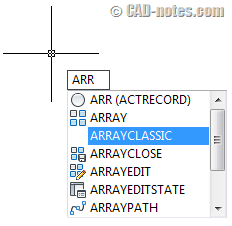 AutoCAD 2012: Array dialog box is back!